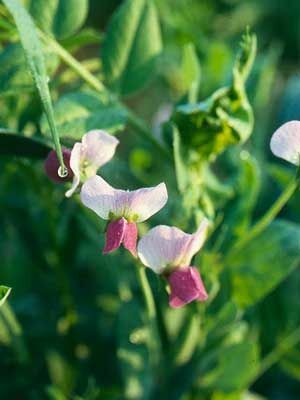 A cool-season annual, field peas (Austrian peas), can tolerate heavy frost but are killed by temperatures below -17 to -23C (0 to -10F). When using field peas to improve very poor soil, mixing a balanced organic fertiliser into the soil before planting will give better results. Turnip, Faba Bean, Oats and Wheat. Sometimes planted with wheat, cereal rye, oats. Allow at least 3 weeks after turning under field pea residue before direct-seeding vegetables, because the rotting vegetation can cause an increase in damping off of seedlings.